J.T. American Imports commenced trading in November 1987 and it is a familiar story taking a hobby and turning it into a business. 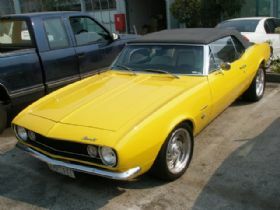 John, the proprietor has had a passion for fast cars and American muscle cars since he was a kid. His father was a mechanic and his passion was fuelled by hanging around the workshop and checking out all the cars that passed through the doors. 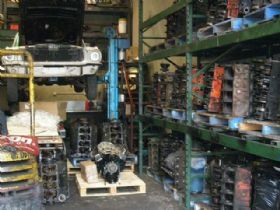 The business specialises in American only V8 engines and transmissions for Chevrolet, Ford and Chrysler. There are five staff and four are qualified engine builders. They import and sell engine cores, recondition and rebuild engines, install V8s in customer cars, provide and install automatic and manual transmissions and for customers requiring upgraded brakes they can install four wheel disk brakes in Ford Mustangs and Chevrolet Camaros. * Chevrolet small block 327ci, 350ci and 400ci engines. * Chevrolet big block 396ci, 402ci and 454ci engines. * Ford small block 289ci, 302ci and 351ci engines. * Ford big block 429ci and 460ci engines. 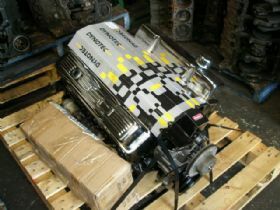 * Chrysler Mopar small block 318ci, 340ci and 360ci engines. 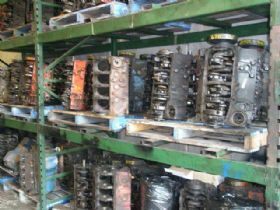 They also directly import a range of engine components that includes used and reconditioned cylinder heads, smog and fuellie heads to suit small block Chevrolets, big block Chevrolet oval and peanut port heads, used and stroker crankshafts, used conrods, new con rods, electronic distributors, auto flex plates and manual flywheels. Other components include sumps, sandwich plates, starter motors, exhaust manifolds, timing covers, truck engine mounts, water pumps, brackets, pulleys, harmonic balancers, engine bolts, intake manifolds, rocker covers and valve train components. The business provides good old fashioned customer service with an emphasis on providing what customers want at a reasonable price backed up by a warranty. As an example of the value J.T. American Imports provides their rebuilt Chevrolet 454 Engines are stripped and chemically cleaned, crack tested, thoroughly inspected, fitted with new rings, main and con rod bearings, new oil pump ,new roller chain timing set, brand new hydraulic stage 3 cam and lifters, rebuilt cylinder heads including Teflon seals and new heavy duty valve springs. Also included is a new electronic distributor, used starter motor, water pump, fuel pump, flex plate, pair of exhaust manifolds, reconditioned Quadrajet carburettor, alternator and brackets. All of the above is available for just AUS$3,750.00*. These motors are built to suit unleaded fuel and their rebuilt big block 454 engines are a great re power option for tow trucks, hot rods and street cars. They also offer a six month warranty and shipping to most major cities from $150*. Another popular product offering is their transmission upgrades and a number of customers have chosen to upgrade their 4 speed gearbox to a 5 speed T5. This upgrade is available for Chevrolet, Ford and Holden owners and J.T. 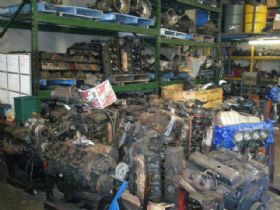 American Imports offers Australia wide delivery on engines and gearboxes. If you have an American classic or are looking to purchase one there are a range of additional services provided to enthusiasts. John goes to the United States every five weeks and over the last twenty two years in business he has been asked by a number of customers to assist in shipping cars, parcels and freight. It made good business sense to offer his expertise and utilise his infrastructure to assist others in shipping stuff to Australia. J.T. American Imports has its own premises located in Pomona, California and they offer a hassle free personal importation service for private and commercial customers. Consignments can range from a single parcel through to a complete container. They ship cars for customers and parts to restore you classic. With the explosion of online sales though eBay, Hemmings, Ecklers, TCI and other sites J.T. Imports can save you money, time and hassle with their shipping service. Over the years they have shipped cars, engine dynos, Ford 9inch diff centres, panels, nitrous kits, Holley carburettors, super chargers, wheels you name it, they can ship it. 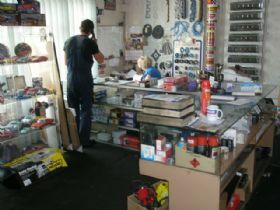 Their staff will take care of it all for you once your parts are delivered to their depot in California. They can also assist with towing companies in America that they have used for over fifteen years. It is comforting to know that between six hundred and a thousand parcels are shipped every five weeks and they control the process at both ends. 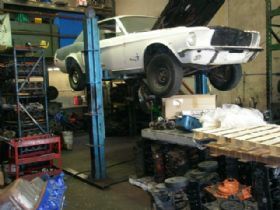 Johns passion for muscle cars is evidenced by his evolving collection that currently includes Camaros, Mustangs, a 59 El Camino and a 94 Chevy pickup. So if youre in the market for an engine upgrade or components, new transmission or are looking for a company that has international shipping experience and wont charge you an arm and a leg get in touch with the team at J.T. American Imports.